VoxEra will change the roaming fees issue in the world. 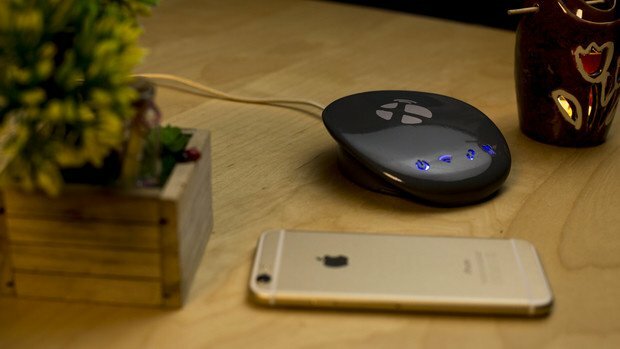 VoxEra is a device that let travelers to use their own local SIM card worldwide. Eitesal Business Nurturing Initiative (EBNI) Incubation is a subsidiary of EiTESAL NGO which is the Egyptian Information, Telecommunication, Electronics, and Software Alliance. Believing in the role EiTESAL is doing in the ICT industry, EBNI was initiated to support entrepreneurs who dream of starting their own startups and facing the barriers of entry. EBNI is the first incubation specialized hardware based on IOT (Internet of Things) in the Middle East. 2 startups graduated from EBNI in 2016 and 13 new startups are welcomed to be incubated in 2017. One of these innovative startups is VoxEra which it will change the roaming fees issue in the world small, VoxEra is a device that let travelers to use their own local SIM card worldwide without any roaming fees. “I was shocked when I found out in Juniper research that mobile operators generated 57 Billion USD in 2013 and this number is going to reach 90 Billion by 2018. This became a push point for me to take the path of VoxEra”, says Amr Elgebaly, founder of VoxEra.